How do you use social media for a job search? En español | Losing a husband or wife is a devastating experience that many of us will have to face. 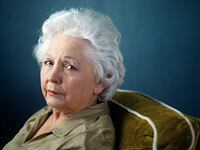 About 40 percent of women and 13 percent of men who are 65 and older are widowed, according to latest census figures. Until recently, very little sound research existed about how we live on after a loved one has died. But in the past decade, social scientists with unprecedented access to large groups of widows and widowers have uncovered five surprising truths about losing a spouse. We oscillate. For years, we’ve been told that grief comes in five stages: denial, anger, bargaining, depression and acceptance. If we were to diagram those stages, the emotional trajectory would look something like a large capital W, with two major low points signifying anger or depression, and the top of the last upward leg of the W signifying acceptance. But when psychologist Toni Bisconti of the University of Akron asked recent widows to fill out daily questionnaires for three months, vast fluctuations occurred from one day to the next. A widow might feel anxious and blue one day, only to feel lighthearted and cheerful the next. In other words, we don’t grieve in stages at all, but oscillate rapidly. Over time, those swings diminish in both frequency and intensity until we reach a level of emotional adjustment. Grief is not forever. One of the most important new findings has shown that for most of us, grief is a severe — but self-limiting — condition, not a permanent state. In one study of older men and women who had lost spouses, George A. Bonanno, a clinical psychologist at Teachers College, Columbia University, found that the core symptoms of grief — anxiety, depression, shock, intrusive thoughts — had lifted by six months after the loss for 50 percent of the participants. Smaller groups took up to 18 months or three years to resume normal functioning. Loss is forever, but thankfully, acute grief is not. Loss is harder for men. For years, clinicians have been operating under the assumption that women grieve harder and longer than men. In 2001, psychologists Wolfgang and Margaret Stroebe (a husband-and-wife team) decided to examine all the existing research and came to the surprising conclusion that, after taking into account the higher rate of depression in the overall female population, men actually suffer more from being bereaved. We might be under the impression that widows despair more, but that’s because there are many more widows to observe. Find tools, work sheets and tips on how to plan, prepare and succeed as a caregiver. Select a Caregiving Resource Center topic from the drop-down menu below. From companies that meet the high standards of service and quality set by AARP. Members save on worldwide rail vacations, tours and train tickets with Vacations By Rail. Members can save 20% off their total purchase at Reebok Outlet Stores. Members save 10% on Mondays and 10% on Weekend Lunch at Outback Steakhouse.